Well, for the people there are a lot of things to anticipate from the Apple developed iPhone 8 and I'll discuss them in this article. The readers may bookmark this page as I'll be regularly update this page with latest information about iPhone 8 such as design leaks, concept design, features, price etc. For a customer who's heading off to the Apple store and going to purchase iPhone 7, the first thing comes in his mind when the next iPhone coming out. if the new iPhone release date is just a few months away, the customer prefer to wait until a new one becomes available. The current iPhone 7 is hardly a few months old and we can come across several people who want to wait to get a new iPhone. According to Tech1Xpert and based on the speculations and discussion at various forums, the iPhone 8 can be released in the first or second week of September 2017. There are several reasons why this rumors about release date may turn out to be true. 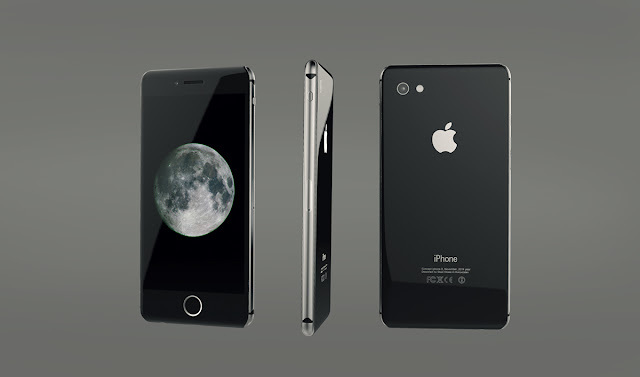 First being the trend that Apple has set for release of new iPhone. Since last give iPhone versions, the company preferred to release new iPhone in the month of September each year. So, we can assume the new iPhone 8 will be released during the same time this year again. The second thing which pushes Apple to do that is sell as much units as possible just after its release and availability in the market on the festive season. The customer spend huge money during this four months and Apple wouldn't want to not take advantage of this opportunity. Take a look below release dates of iPhone starting with the first one. The first iPhone was released in June 2007 and the trend continued till iPhone 4. Starting from iPhone 5, the company shifted from June release cycle to September. Apple is known for the innovation and it has been noticed as well in previously released model. Each new iPhone features much better features and designs than its predecessors and thats what make techie world's best smartphone maker. There has been rumors the design of iPhone 8 will yet again be the major point of attraction. According to Valuewalk, the iPhone 8 design will be prominent glass-based that will look iPhone 8 attractive in the hands of the customers. Apart from that the antenna and the battery may be hidden under the curved edges which is believed to be the major design change according to tech blog. Moreover the KGI security which is considered to be the most reliable source predicts that quality of glass that will be used for front and back will be scratch less and much more durable. Talking about the specification of iPhone 8, the rumors reveal that iPhone 8 will feature dual face camera for all the variants and sport octo-core processor for faster processing. It will help people to perform more than one task at a time without any lag. There will be significant change in battery to make last longer than ever. The iPhone 8 will sport 3GB RAM and along with A11 chipset & Octo-core processor, it will work pretty much smoother. The rumors say there will be flat 256 GB model instead of 32 or 128 GB options. This is the rumor which was supposed to be true for iPhone 7 and iPhone 7 Plus but it couldn't happened. Now again the removal of tradition HOME button from iPhone 8 surging and this time we expect to see this change. Removing HOME button will increase the available space on the screen bigger than ever. The other interesting feature that I'm excited about is wire-free charging. Techtimes believes that wire-free charging will resolve low batter life issue as the people will be able to charge the device even when they are using it. There will be no tangled wire to be taken care of and it will be pretty much convenient to the people. Though it sounds pretty interesting that people will be able to stay connected with the charger while they talk over the phone or do some other stuff but using a phone while it is being charged is not recommended. We heard several incidents of bursting phones when it is used while charging. The company needs to think about it as well. Talking about the other speculation at Valuewalk, there could be 3 models of iPhone instead of two, the iPhone 8, iPhone 7S and iPhone 7S Plus. It makes sense to some extent since we have noticed the company always come up with the upgraded model next year instead of "whole numbered" iPhone. However I wonder if the rumor come out to be true, why would anyone spend money for iPhone 7S or iPhone 7S Plus when they can get iPhone 8 with little extra money? Not a smart idea according to me. Much anticipated to the price of the iPhone 7 and the iPhone 7 Plus, the expected price iPhone 8 price is said to be touching the mark of $900-$1000. However this is something that one would love to expect and something which will make the phone easier to purchase for everyone. There will be significant price differences in different countries but it will be purely on the basis of taxation policies of the country. According to Forbes, the latest leak confirms iPhone 8 will be waterproofed to IP68 standards. It means that new iPhone can withstand water upto 1.5 meter and 30 mins. It was a must for the company to make new iPhone 8 water resistant to IP68 standards because the rival Samsung flagship smartphone Galaxy S7 is already protected to this standard and it was released one year back. The Samsung Galaxy S7 is waterproofed o IP68 standards while it still features HOME button and have headphone jack intact. While the company Apple pay attention to design and material used, it must go according to the market as well in order to not left behind on certain important features.